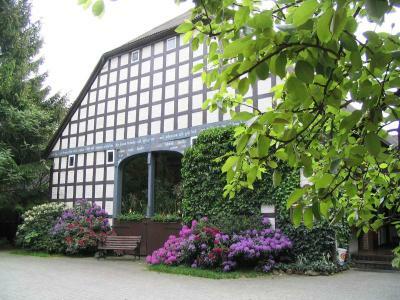 Lock in a great price for Landgasthof Rieger – rated 8.7 by recent guests! This is pure country living. This place was not unknown to me as we had family reunions there many years ago. 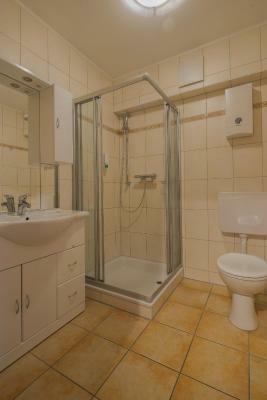 I like bigger rooms, from 30 sqm upwards, and these are hard to find in more urban areas. I had a nice bright clean room with a view out into the countryside. 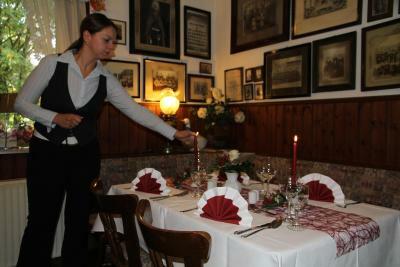 The restaurant offers a nice choice of local cuisine. 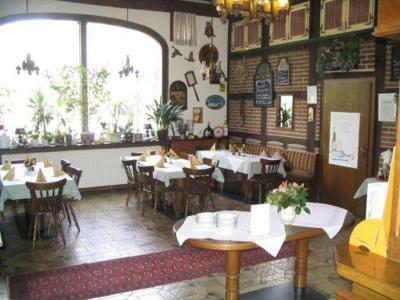 Sowohl das Frühstück war in Ordnung, als auch das Essen im Resturant, das war sehr gut ! Desweiteren muß die Freundlichkeit und der Service von Seiten der Geschäftsleitung ( dem Ehepaar Rieger ) sowie auch dem Personal . Personal war sehr freundlich. Das Frühstück war schmackhaft und gut. (selbst gemachte Konfitüre) Das Zimmer und die Ausstattung war einfach aber sehr sauber und gut. Das Preis-Leistungsverhätnis war absolut in Ordnung. Wer keine überzogenen Ansprüche stellt ist hier sehr gut aufgehoben. Ich würde auf jedenfall wieder dort anhalten. Meine Sonderwünsche wurden berücksichtigt (vegan) für mich wurde sogar extra Brot gebacken, sie haben sich echt Gedanken gemacht!!! 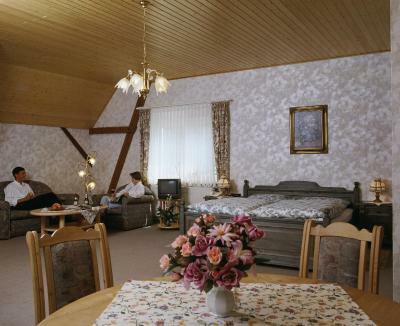 Sehr großes Zimmer, nicht top modern, aber gepflegt. 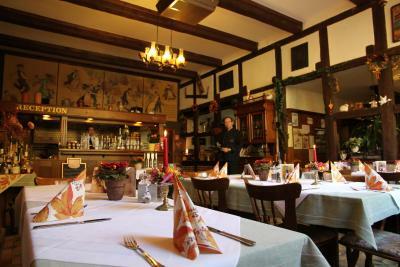 Über dem Hof ist direkt ein Restaurant mit sehr leckeren Essen. Super unterkunft Sauber.freundliches Personal. 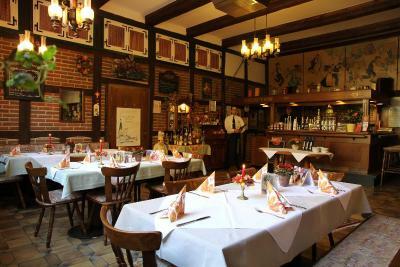 Kommen gerne wieder Essen im Restaurant toll. 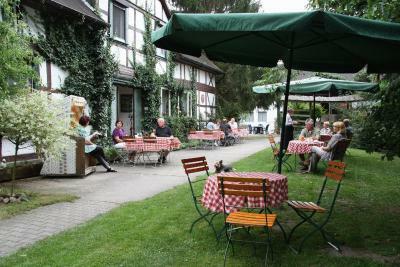 Toller landgasthof. 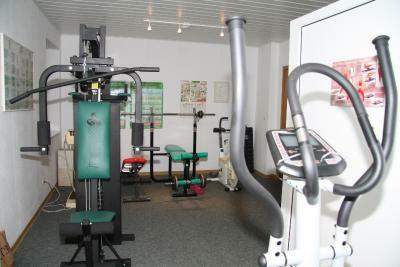 Die Lage ist wunderschön, die Zimmer ruhig, das Personal sehr freundlich und hilfsbereit. An meinem Zimmer gab es eine kleine Terrasse zum Draußensitzen. Un Biergarten à la campagne avec tout pour s'amuser en famille. Aux commandes, une famille sympathique et accueillante. Des vélos sont prêtés gratuitement aux hôtes. Ca permet de faire un tour en forêt ou dans les champs. Bonne cuisine généreuse à prendre dans le jardin sous les parasols, une bonne bière fraîche à la main ! 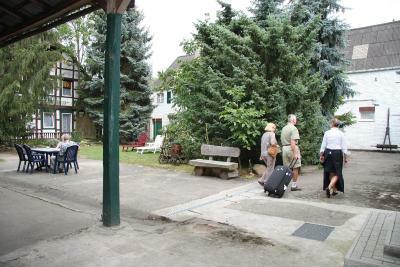 Landgasthof Rieger This rating is a reflection of how the property compares to the industry standard when it comes to price, facilities and services available. It's based on a self-evaluation by the property. Use this rating to help choose your stay! 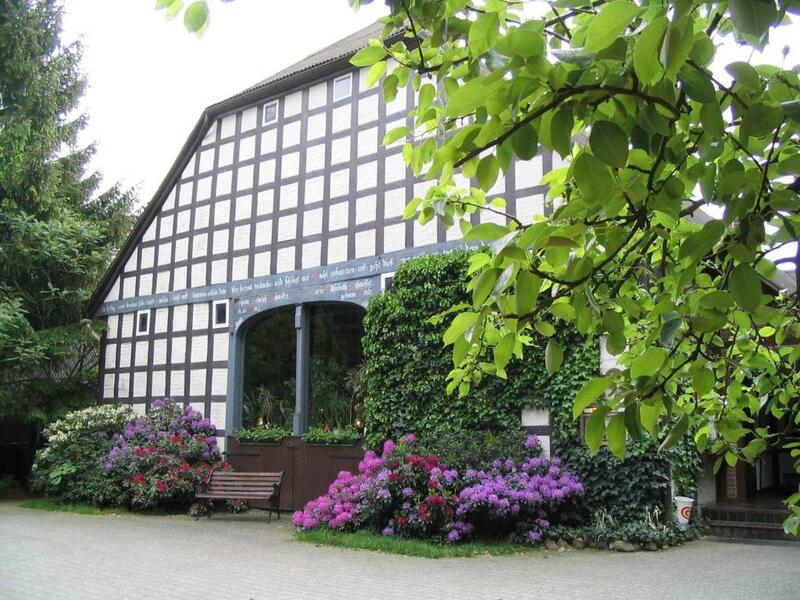 This hotel is a traditional Lower-Saxon timber-framed building in the beautiful village of Dangenstorf, located in the middle of a nature park and surrounded by forests and meadows. Come and feel at home here in this old renovated farmhouse. 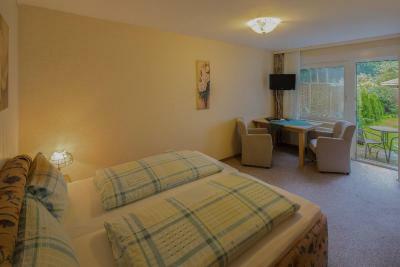 Enjoy a tranquil and relaxing stay here on the fringes of Lüneburg heath. 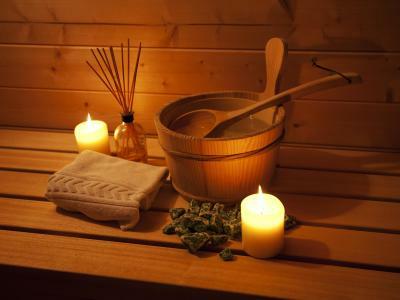 Work up and fine sweat and then wind down in our in-house gym, complete with sauna and a solarium. 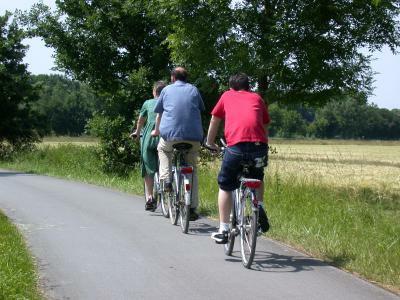 This is the ideal place to stay for young and old alike, whether you want to take it easy or indulge in hiking, cycling or other leisure pursuits nearby. 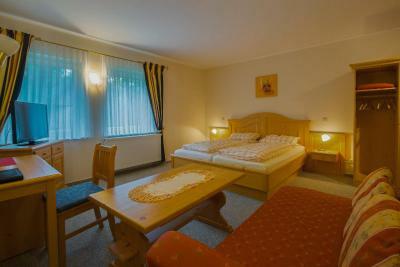 This property also has one of the top-rated locations in Dangenstorf! Guests are happier about it compared to other properties in the area. This property is also rated for the best value in Dangenstorf! Guests are getting more for their money when compared to other properties in this city. 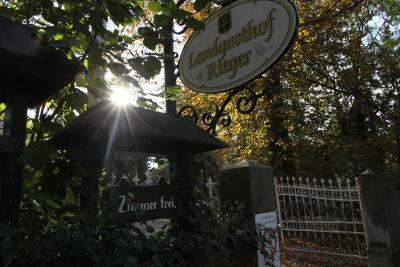 When would you like to stay at Landgasthof Rieger? 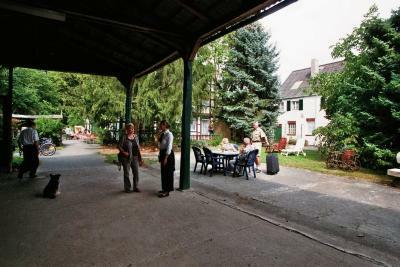 House Rules Landgasthof Rieger takes special requests – add in the next step! Landgasthof Rieger accepts these cards and reserves the right to temporarily hold an amount prior to arrival.